Most woodworkers have great success staining deciduous hardwood species such as poplar, hickory, teak, beech, and pecan. But disappointment can set in when attempting to apply stain to softer species such as number 1 pine, fir, and others. Why is this? Because softer wood is much more porous and tends to absorb too much stain, and in an unequal and uneven manner. It all has to do with the cell structure of the wood surface. Hardwood has a dense and tight cell structure so it is more difficult for the stain to penetrate deeply or quickly. That gives you ample time to wipe down your woodworking project to fine tune your desired shading. This is a big plus in my book. Yes, hardwood is more expensive but it has decided advantages. Softer woods, on the other hand, have bigger, thirsty cells. Because of this, they soak in your stain quickly and deeply. This leaves you only a small window of time to work on the surface of your project. The result of this can be a darker shade than the picture on the can shows as well as resulting in irregular results. 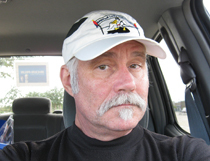 So How do Paint Contractors and Carpenters Work their Magic? The technique is not quite what you might consider a trade secret, but it is certainly not widely advertised either. Surprisingly, stain manufacturers dont broadcast it much either. So, what exactly the trick to finishing success? Its to make the softer wood species behave more like deciduous wood trim or boards in terms of absorption. And heres one common way it is done. We recognise that the cell structure must be fundamentally addressed, so the trick is to first apply a clear conditioner on the wood surface. When this clear solution enters the soft woods cells, it will behave similar to oak or walnut without altering the color. The can of the product you buy will have comprehensive manufacturer instructions, but as a rule of thumb they recommend a rather short window of time between the application of the clear conditioner and the stain itself. Just something to keep in mind. 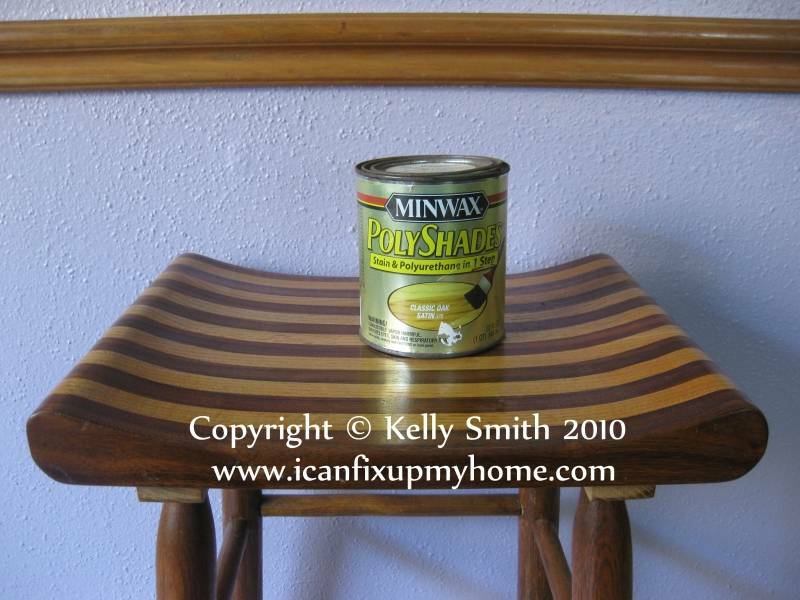 A product I like to use is the Minwax Pre-Stain Wood Conditioner®. One of the main reasons this product is so popular is that almost all big box home improvement stores stock a full line of Minwax stains. I have to assume that it is a good bet that products from the same manufacturer will be the most compatible. Any flaws in the wood surface should be repaired by filling with putty (unless you are going for a super rustic look). For the best color match I like to use this homemade wood putty. The key thing to remember is sanding your wood with the correct grades of sandpaper. The correct grade for the starting point really is dependent on how rough your surface is to start with. Remember, the smaller the number, the courser the grit. Not intuitive at all, but thats the way it is and we have to live with it, yes?. As an example, #50 is quite coarse but #180 is a much finer grit. The basic idea is to get your surface as smooth as you can. The less amount of open grain you have, the more uniform your stain and finish absorption will be. I like to use a sanding block for small projects, a belt sander for larger ones, and a drum sander for rounded surfaces. Sometimes all three come into play. To apply the stain, use a pair of gloves and a soft, lint-free cloth or a brush. For quick jobs, I use those throw-away latex gloves or even a plastic bag in a crunch. For bigger jobs, use heavier grade gloves. Apply and then immediately wipe off the the stain from the wood surface. Examine it to see if it is the desired shade. Needs to be darker? Move forward with another application and wipe again. Finishing wood is not rocket science of course, but it is an acquired art form. One good thing is that it gives you as a woodworker complete control, unlike painting a wall. Always strive to bring out the beauty of your wood. Ive found two great choices when Im finishing a woodworking project or some wood molding with a stain. First, I like to use a straight stain, let it dry, and finish with polyurethane or some other urethane product. If the piece will be in a potentially wet environment like a bathroom, tung oil is a good choice. The second choice would be to combine the steps and use a product that combines the stain and polyurethane, like the Minwax product, if it lends itself to the project. If you go this route you will be done in one step. I hope you enjoyed this article on applying stain on hardwood and softwood and found it useful on your projects. If so, please share the link with friends. And if you have some related ideas please share them with our readers in the comment section below. © 2012 Kelly Smith All rights reserved; content may not be copied, rewritten, or republished without authors written permission, but feel free to print it out or share the link.